Led by a husband and wife team – Dr Joe Watson and Dr Raashi Tiwari, at Tiwari Watson Dental Care we are passionate about our practice ethos of ensuring ‘gentle and caring dental excellence is at the heart of everything we do’.  We are therefore proud of the depth of skills and experience within our forward-thinking team of highly trained dental professionals. 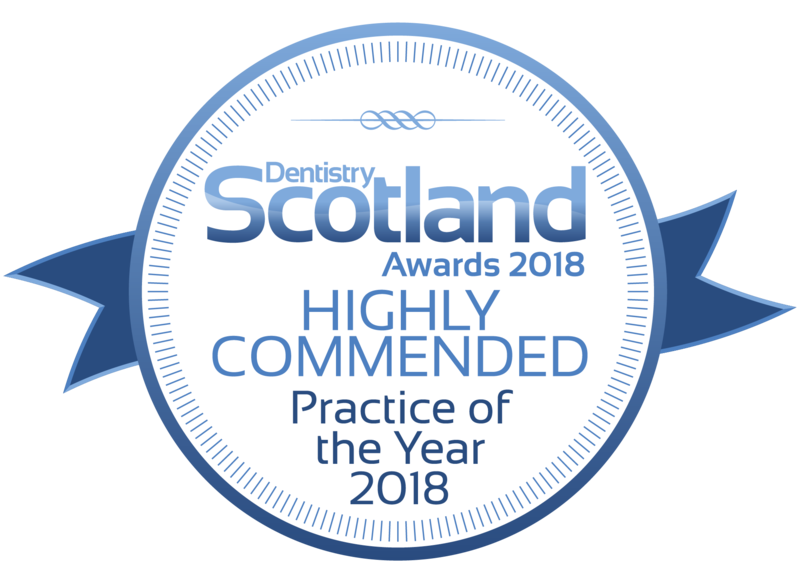 As a team, we take a gentle approach to dentistry and we aim to ensure that each of our patients are able to relax in the knowledge that they are in safe, caring and capable hands whilst they are in our care. Originally from Belfast, Joe graduated with commendation in General Dentistry from the University of Glasgow in 2011. In 2013, he completed post-graduate training in IV Sedation for nervous patients. 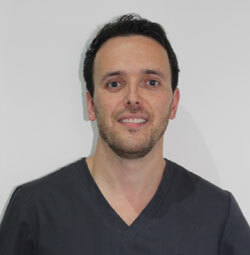 Joe is a member of the British Dental Association and the International Team for Implantology (ITI) and has also trained in the use of Invisible Braces and Anti-Wrinkle Injections. With a strong commitment to personal development and professional excellence, Joe has also successfully passed his Diploma to become a member of the prestigious Royal College of Physicians and Surgeons of Glasgow. He then went back to University on a part time basis in 2016 for two years to study for a Masters degree in Dental Implantology at the University of Manchester. In his spare time, Joe enjoys playing golf (badly) and spending time with family and friends. Raashi graduated from the Universtiy of Glasgow in 2011. Her post graduate training has involved cosmetic braces and IV Sedation/anxiety management for nervous patients. 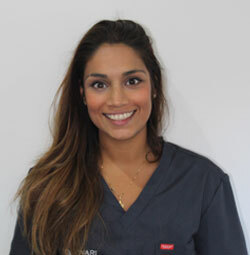 Aswell as fixed braces, Raashi is also fully trained and accredited as an ‘Invisalign Go’ Provider.’ She has completed extensive training in facial aesthetics and enjoys enhancing patients natural features using anti-wrinkle injections and fillers. She is dedicated to providing high quality dentistry and thanks to her calming demeanour she is particularly good at putting nervous patients at ease. In her spare time Raashi enjoys all outdoor adventures including walking, cycling, travelling and most of all spending quality time with family. 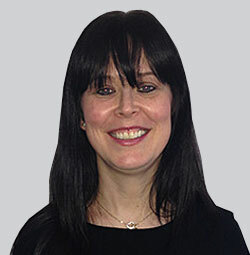 Our dentist Laura is originally from Lisburn in Northern Ireland.  She graduated from the University of Dundee with a commendation and has been working with us in Glasgow ever since. Laura has a friendly and personable approach to treating patients and has a particular interest in treating those who are nervous. Outside of work, Laura enjoys socialising and playing sports. She is a keen golfer and in the past has represented her home country of Ireland playing off a handicap of 2. She now prefers to play more socially and also plays netball for a local club every week. Kamal graduated from Dundee University and he completed his post graduate training in Newport-on-Tay. He has since returned to Glasgow where he has been working in Bo’Ness. 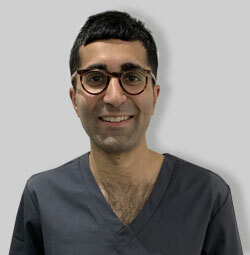 He joined our team at Tiwari Watson Dental Care in 2019. He enjoys all aspects of general dentistry, and also treating those who are anxious. Kamal has a relaxed and calm approach to dentistry, and he will always strive to do his best for his patients. He is a keen runner and having grown up in Glasgow he enjoys trying out new local restaurants with his wife, and spending time with family & friends. Mr Chan graduated from the University of Glasgow in 1987.  He has owned his own dental practice in Springburn, Glasgow for over 20 years and in that time has carried out countless dental sedations, wisdom tooth extractions and dental implants. 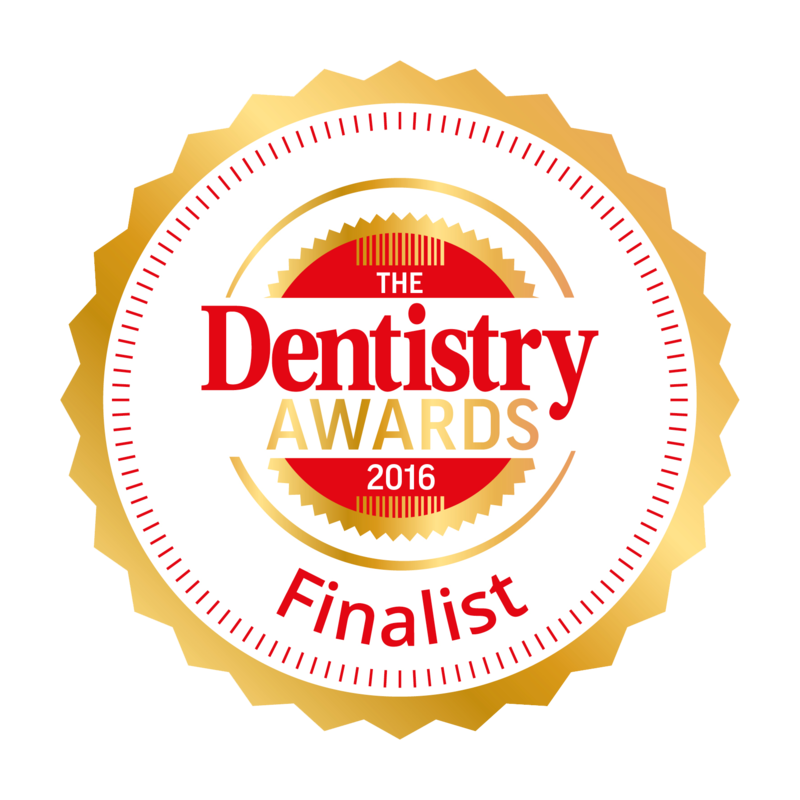 He gained his MSc in Implant Dentistry after 3 years of further post graduate training at the University of Warwick in 2012. He now mentors other dentists in the placement of dental implants. He became a member of the Royal College of Physicians and Surgeons of England in 2013. 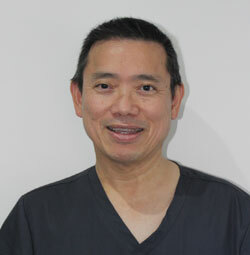 Due to his broad experience Mr Chan has a calm, confident approach to treating patients. Mr Chan speaks english, mandarin, cantonese and malay. Rebecca graduated with Distinction in Oral Health Science from Glasgow Dental Hospital. 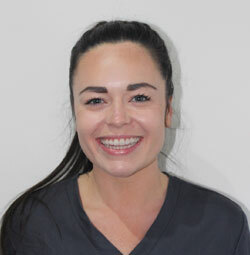 With a dual qualification in Dental Hygiene-Therapy, the treatment Rebecca offers varies widely from stain removal to fillings and treating paediatric patients. She has an excellent approach and demeanour when working with children. Rebecca’s encouragement and enthusiasm ensures patients are well educated and motivated in caring for their dental health. 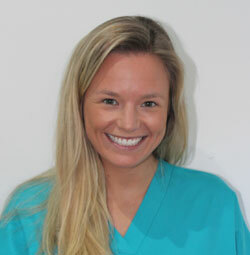 Outside of dentistry, Rebecca enjoys living a healthy lifestyle by going to the gym and attending fitness classes. Rebecca enjoys spending weekends at the family retreat in St Andrews, Fife. Andrea qualified as a dental therapist in 1977 after training at New Cross hospital, London. She has worked at Springfield Dental Care (now Tiwari Watson Dental Care) since 2010. Outside of work Andrea enjoys knitting, making earrings and renovating properties. 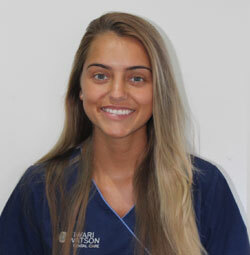 Sharon has worked at Tiwari Watson Dental Care for 3 years now. 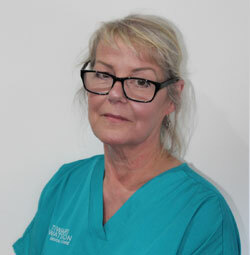 She has over 30 years experience in dentistry, qualifying as a dental nurse in 1989. For the past 23 years she has been involved in dental practice management. 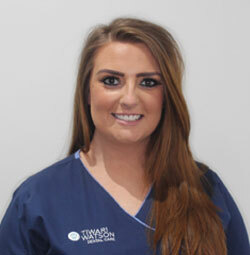 Lauren first joined Tiwari Watson Dental Care as a trainee dental nurse in August 2016. She also attended college during this time as part of her training and successfully gained her professional qualification – SVQ level 3 and PDA in Dental Nursing. 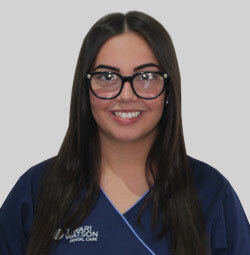 Lauren’s excellent communication skills, empathy and polite manner allowed her to flourish on reception, where she is now mainly based although she still occasionally works in surgery to keep her skills up to date. Gemma first qualified with a NEBDN diploma in dental nursing in 2013. 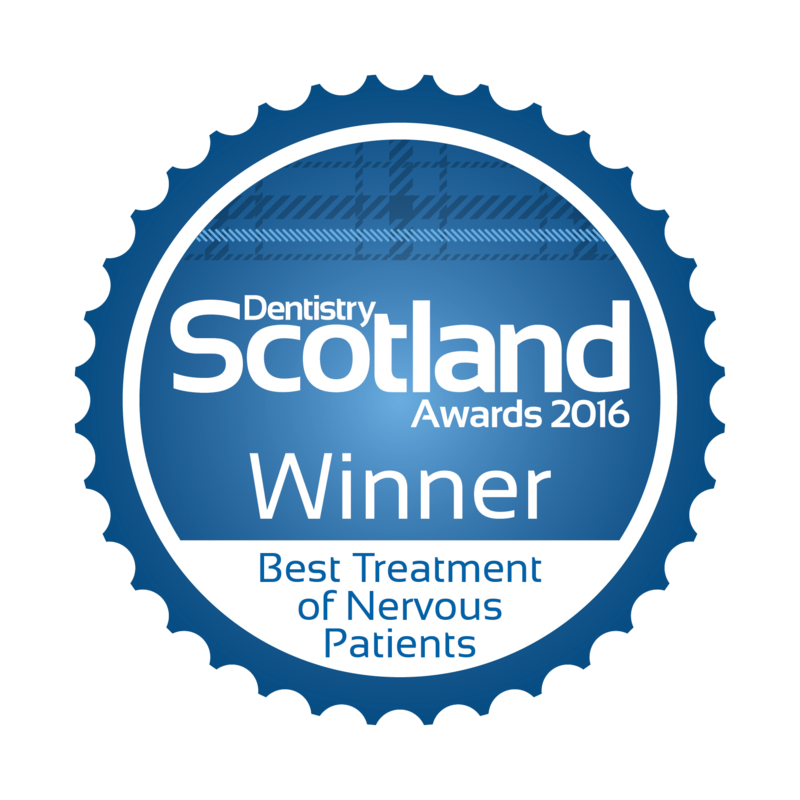 Recently she gained an additional qualification, after one year of further training; in sedation nursing from Glasgow Dental Hospital & School. She has worked within the practice since August 2011. In her spare time Gemma enjoys her holidays and likes to take her dog Carlos to the park. Danielle first qualified with a Higher National Diploma in 2011 and has been working in practice since. She has extended her skills further in the past few years by achieving the Child Smile and Conscious Sedation Qualification for Dental nurses. This involved a significant amount of additional studying and training over the course of a year. Danielle loves spending her free time with family and friends, shopping and attending music concerts and shows. 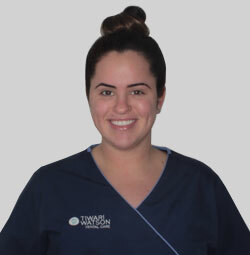 Tiegan first joined Tiwari Watson Dental Care as a trainee dental nurse in February 2017. She also attended college during this time as part of her training and gained her professional qualification (SVQ level 3 and PDA in Dental Nursing) in January 2018. She also had experience on reception but works mostly in surgery alongside our dentists. Bili started out on college placement for two days per week whilst studying for her dental nursing exams. 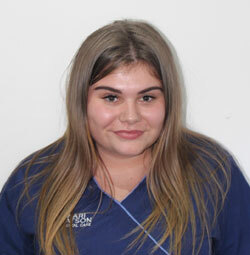 After completing her HNC she went on to gain a HND where she has advanced her scope as a dental nurse and is now able to take x-rays and impressions (moulds). Since then Bili has now joined our team on a full time basis and is enjoying working with fellow staff and meeting/getting to know our patients.